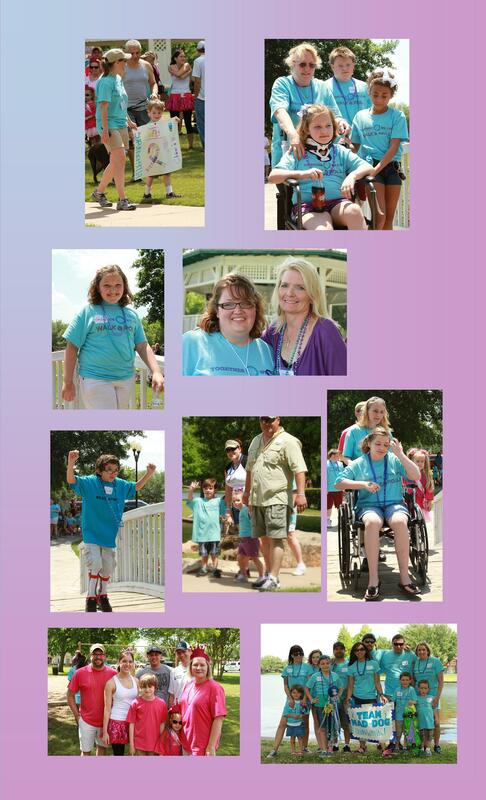 Welcome to Sugar Land Walk & Roll event page! Join us in raising awareness about Chiari malformation and syringomyelia. This is a cause that is very near and dear to our hearts as 5 out of the 6 children from our two families struggle with Chiari and its related disorders. Our children combined have had 30 plus brain and spinal surgeries to help alleviate as many of the symptoms as possible in hopes of giving them a better quality of life. Every day is a struggle. We have been blown away by the success of our last two walks and the amount of money and awareness that has been raised. We truly thank each and every one who has helped. It has been an amazing sight to see so many wonderful people supporting the CM/SM community. With your help we hope to make this year's event even more successful. Come out and join us for the Third Annual Sugar Land Walk and Roll benefiting Chiari/syringomyelia research and awareness. From this site, you can register to walk, start or join a team, set a goal, and collect donations. You can also search for other participants and donate toward their goals. Every walker who raises a minimum of $30 will receive a walk t-shirt. Event Description: Paved 1 mile walk around a shaded lake. Other events will include silent auction and raffle, activities for the kids, food and refreshments. Strollers, wagons, wheelchairs are welcome as the path is full accessible.